The Delhi summer this year is harsh and a warming climate is leading to each passing year becoming hotter than the one immediately preceding it. 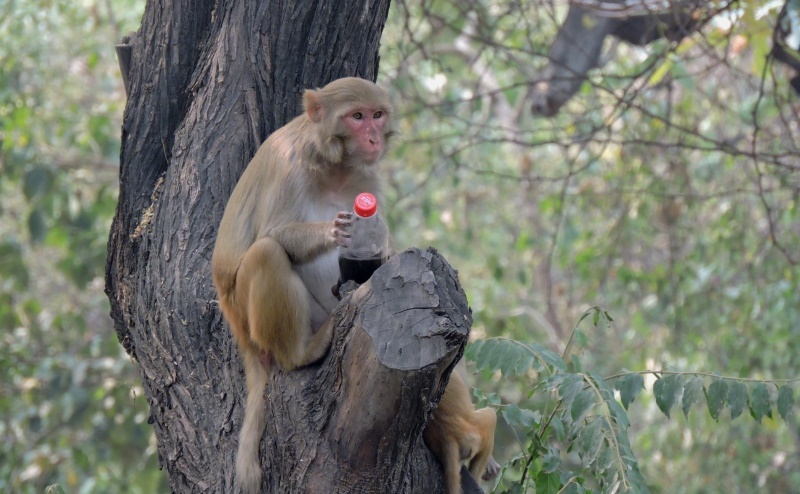 Amidst the Delhi heat, we find a monkey grabbing on to a cola bottle inside the North Delhi (Kamala Nehru) Ridge. Monkeys have long been known to imitate man, but this is not an imitation we would like our primate friend to exhibit. PrevSponsored Video: A Visit to Garden City Singapore Has Much to Offer!